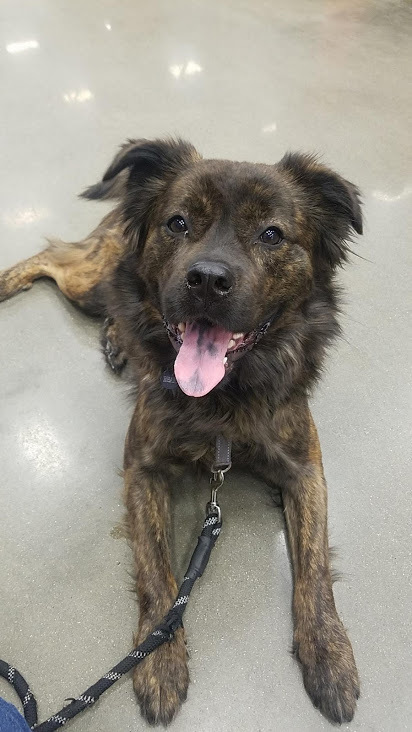 Bear is a Chow mix who is a rescue pup that was adopted at 3 months old when he was living in a foster home with his siblings. One of Bear’s favorite things to do at work is play and chase Finland! He is very treat- motivated so he really enjoys obedience training which is essential in his training to become certified with Therapy Dog International. He already knows sit, lay down, high five (with both hands), stay and leave it. Bear loves meeting new friends at work, especially kids! He loves when he gets to help with our children’s grief programs, Little Hands (for children 3 1/2 to 6 years old) and Healing Hearts (for 1st-6th grade children). During his off time he loves playing fetch, going to the dog park and picking on the two resident kitties, who are not so fond of his high energy! Bear spends most of his days at Hamilton’s on Westown Parkway where he comes to work with his mom, Buffy Peters, Director of the Academy of Grief & Loss.